Himalayan pink salt originates from Pakistan and has been used for centuries for its therapeutic and cosmetic uses. The mineral was extensively used in trade for its therapeutic health benefits and has long been considered a precious commodity (1). Hence why, it is called the healing salt. The salt contains a small amount of calcium, iron, potassium, magnesium, and slightly lower amounts of sodium than regular salt. For this reason, the salt can be quickly metabolized without increasing the concentration of potassium and sodium in the blood, which causes high blood pressure (2). Himalayan salt contains 84 different minerals that are beneficial to your health. Its crystals are the result of a very ordered arrangement of atoms, giving them their unique shape (3). Himalayan salt contains trace minerals and macrominerals, such as calcium, which plays a vital role in bone, teeth, and muscle health. The trace minerals (which are needed in small amounts for your health) include boron, chromium, copper, fluoride, iodine, manganese, molybdenum, selenium, and zinc (4). 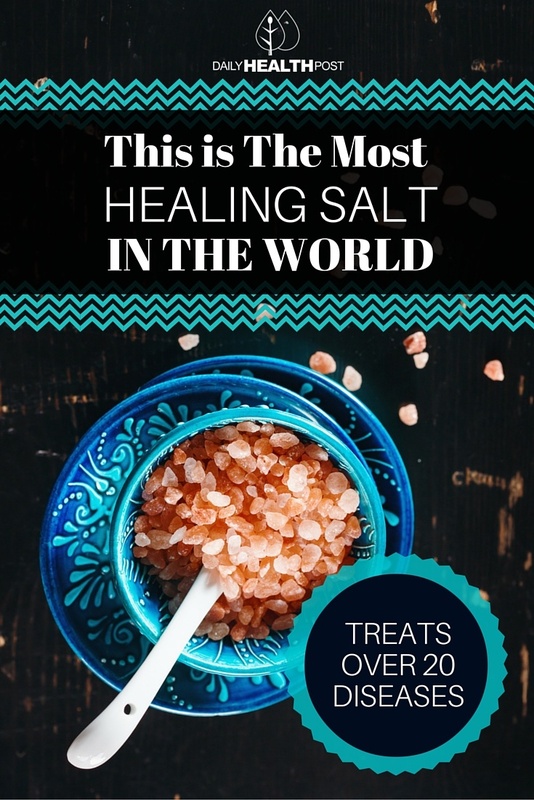 With regular consumption, the healing salt has been known to help aid poor circulation, as well as detoxify the lungs and nasal passages, purify skin and alleviate symptoms of allergies, asthma, and a host of other ailments. The origin of Himalayan salts stretches back nearly 250 million years, as ocean salt settled in geologic pockets around the earth. Himalayan salt is unrefined, unprocessed and hand-mined from salt caves. Thanks to its rising popularity, Himalayan salt is now available at more health food stores, online retailers, and drug stores. It is important to read the labels and be sure what you’re purchasing is authentic Himalayan salt and not a processed knock off variety. 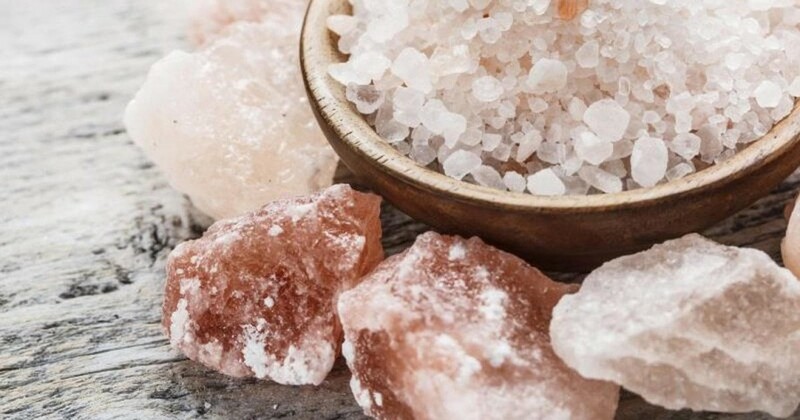 Although Himalayan salt has been around for centuries, researchers have only begun to prove its healing abilities scientifically. If taken in moderation, Himalayan salt has no negative side effects and does not damage stomach, kidneys or other internal organs like processed salt can. As with Epsom salt, the amount of Himalayan salt you’ll need to add to your bath depends on your body weight. For best results, soak for 30 minutes shortly before going to bed. Excess bloating or water retention. To make a decongestant saline solution, add a teaspoon of salt to a half a liter of warm water and stir until dissolved. Use a small teapot or neti pot to distribute the solution into your nostril and clear them up. This scrub not only cleans your body just as effectively as soap, it also moisturizes your skin. All you need is a cup of Himalayan salt, ½ cup of coconut oil and a few drops of your favorite essential oil. Store the mixture in a glass jar and gently apply to wet skin in a circular motion to promote lymph flow. Rinse in the shower and skip the soap! To make a healing salt toner, combined ½ cup of filtered water, 2 teaspoons of pink Himalayan salt and 2 teaspoons of apple cider vinegar. Store the mixture in a small glass bottle with a lid and apply to your face using a cotton ball. Use in the morning and at night for best results. Salt lamps can be purchased at most natural health food stores or new age shops. They have the ability to help detoxify your home from harmful electronic smog. When the lamp is heated, it releases negative ions, which balance with the positive ions in the air transmitted from tech devices. The lamps have also been known to improve sleep quality, boost mental clarity, and even help reduce stress. As ear drops to treat an ear infection. As a poultice place around the neck to help relieve travel induces nausea and motion sickness. As a foot bath to ward of toe fungus. As a gargle solution to help relieve a sore throat and an oncoming cold.